Richard joined the Road Haulage Association as chief executive in 2014. He is a logistics and supply chain expert and has been responsible for the transport, warehousing and distribution strategies for some of the most prestigious and demanding manufacturing and retail businesses in the UK. Richard was previously MD of Samworth Brothers Distribution, and has held senior positions at Wincanton, Hays and TDG. 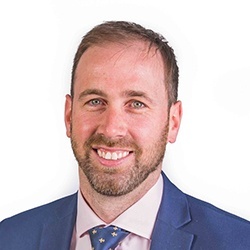 Since joining the RHA, Richard has restructured the association, making it a far more relevant and effective organisation, that delivers value for its members and one with a powerful and effective lobbying voice and strong media influence. Richard Smith is heading up the RHA team that will be dedicated to taking the claim forward. Richard is a highly experienced professional within the transport industry having spent over 25 years working and leading sizeable operational teams for some of the UK’s largest supply chain organisations. Steven Meyerhoff is a Director of Backhouse Jones and heads up the Commercial Litigation Department. Steven completed his training contract with Backhouse Jones, qualifying as a solicitor in 2005. His legal career has been entirely transport focused, covering all sectors of the industry. David is one of the UK’s leading competition lawyers. He has consistently been ranked in the leading directories since 2010, including a top-tier ranking in Chambers & Partners. David has worked on numerous competition law damages actions and EU/UK cartel cases before the European Commission, the UK’s Competition and Markets Authority, and the High Court. We have prepared a document with more detailed information on the RHA's legal team.